The year 2016 is now over and looking back on the months left behind, we're delighted how much happened at APIBA last year! And there’s so much still in the pipeline for 2017! Read on to find out about the wide range of professional development opportunities that our Association offered during the year just finished. You'll find that our newsletter, to be released in a quarterly fashion as from now on, has been revamped with a friendlier, brand-new format. And some breaking news: APIBA’s first event in 2017 is now already underway! 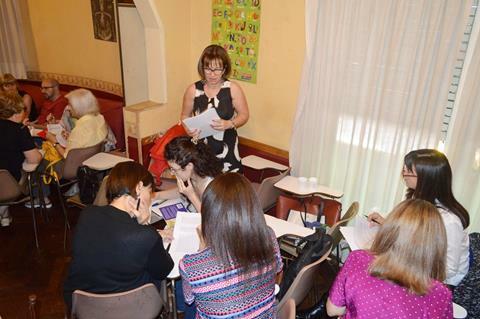 Attending APIBA Business English Conference in collaboration with Escuela de Lenguas y Estudios Extranjeros, Universidad de Belgrano, on March 4th, will surely give you an insight into what it means to be a Business English Trainer. 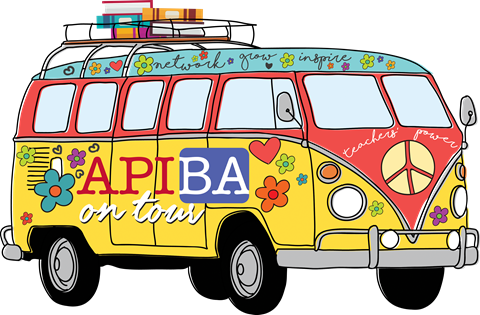 Finally, we would really appreciate it if you could let interested colleagues know about the various professional development opportunities offered by APIBA. This way, you could help us in our mission to link, develop, and support. • New SIG: Mindfulness. This SIG was created with the aim of exploring what mindfulness is, the changes occurring in our brains when we practise it and for all those looking for new ways to develop awareness and gain insight into the choices we make in class and life. 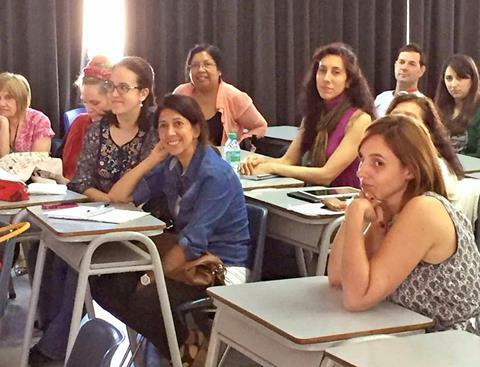 Workshop "Mindful Teaching" by Prof. Ricardo Cavallini (APIBA member), organised by APIBA's Mindfulness SIG. 120 attendees! 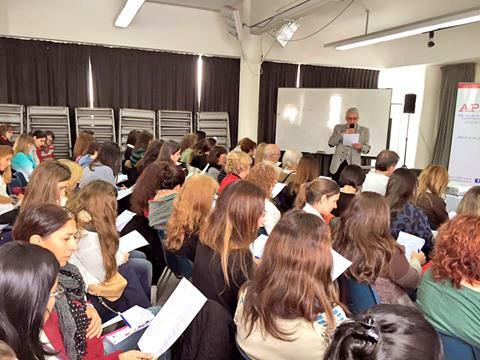 Diplomatura en Capacitación en Inglés de Negocios (UB-APIBA). APIBA and Universidad de Belgrano signed an agreement to jointly deliver this course, which is starting in April 2017. APIBA Drama Club. 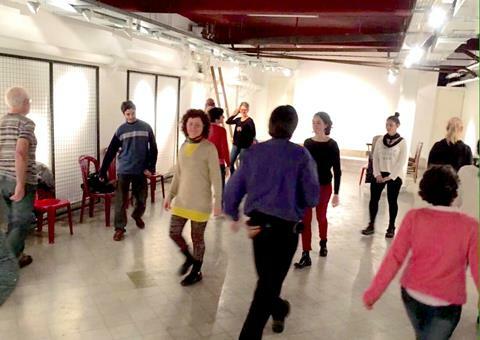 It opened with the objective of learning about drama techniques, improvising, interacting and practising English in a very relaxed atmosphere, all of which involves a unique bodily experience. A successful project that we hope will keep on growing in the years to come! APIBA On Tour. 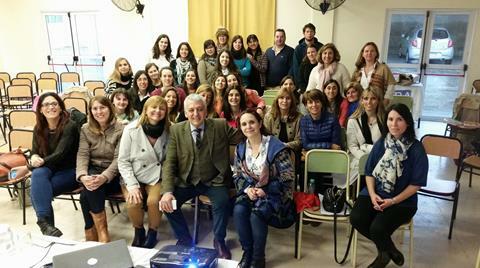 This innovative project was launched last July, its aim being to reach teachers in the suburbs and all over the province of Buenos Aires where there are no local associations, to support their initiatives of continual professional development, to encourage collaboration with teacher training institutions and to spread the word and share our mission. APIBA On Tour: Lomas de Zamora at I.S.P. “Pbro. Antonio Sáenz”. 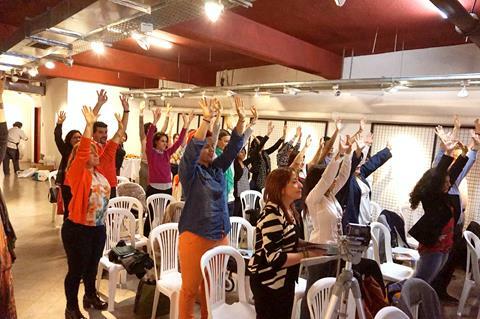 Workshop "Mind full or Mindful?" by Prof. Ricardo Cavallini. • APIBA Annual Seminar 2016. 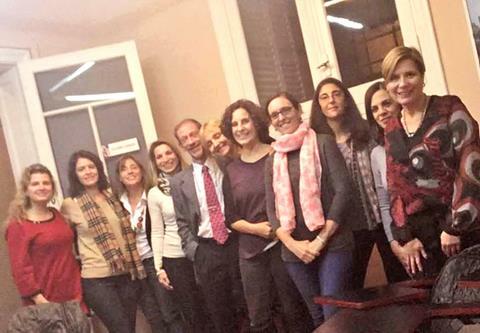 With Silvana Richardson (keynote speaker) and APIBA members Leonor Corradi, Florencia Perduca & team, Cristina Banfi, Silvia Iummato & team, Mónica Gandolfo, Gustavo Paz, Ana Verdelli, María José Gandini. • Talk "Know Your Impact" by Silvana Richardson, delivered at I.N.S.P.T. UTN, I.E.S. en L.V. “Juan R. Fernández” and I.S.P. “Joaquín V. González” teacher training colleges. 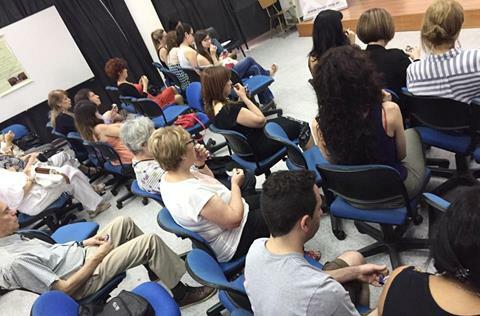 • "Taller Introductorio a la Práctica de Mindfulness" at C.E.C.I.E. N°19 by Prof. Ricardo Cavallini. • APIBA On Tour: Chivilcoy at I.S.F.D. N° 6. With APIBA members Gonzalo Rosetti, Mercedes Foligna and Luciana Fernández (sponsored by APIBA) and APIBA member Cecilia Sassone (sponsored by The Spiderweb Method). • Workshop "Exploring the Richness of ICT Tools” organised by APIBA's E-TL SIG. • APIBA On Tour: Pergamino at I.S.F.D. y T. N° 5. With APIBA member Luciana Fernández. "Reading ourselves: Anglophone texts about Argentina - A discussion of the images that construct our identity in literary texts in English about our country". 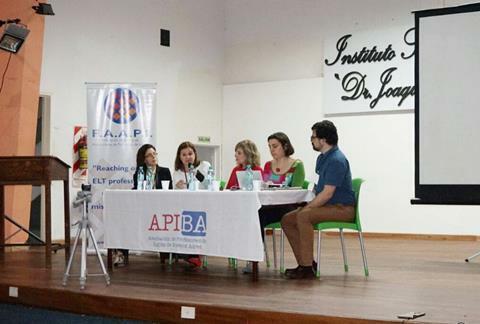 APIBA's Literature SIG organised an open session coordinated by Claudia Ferradas, PhD. • March 4: APIBA Business English Annual Conference (March 4). Register HERE! 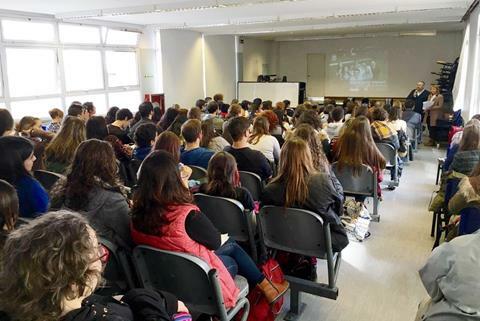 APIBA is very proud to invite you to the first BE Annual Conference organised in cooperation with Escuela de Lenguas y Estudios Extranjeros, Universidad de Belgrano. As a result of the productive work done by our BE SIG since 2015, we are organising this high quality professional development event, the only one of its kind both locally and regionally. 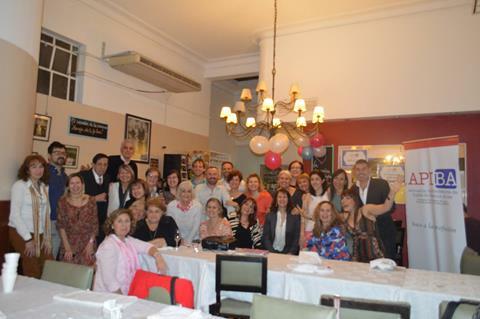 We are to have the IATEFL BESIG in our opening plenary plus four presentations by leading BE trainers in Buenos Aires.